The curriculum was built to deliver professional knowledge, skills and practice to prepare you for a career in the field of applied psychology and to inform your thinking and professional behaviors in the areas of psychological theory, research, current practice, social justice and advocacy, and ethical professional development. Whether you work in business development, marketing, human resources, criminal justice, or are interested in a career in clinical or industrial/organizational psychology, our state-of-the-art curriculum provides the course topics you need to gain expertise that suits your career goals. 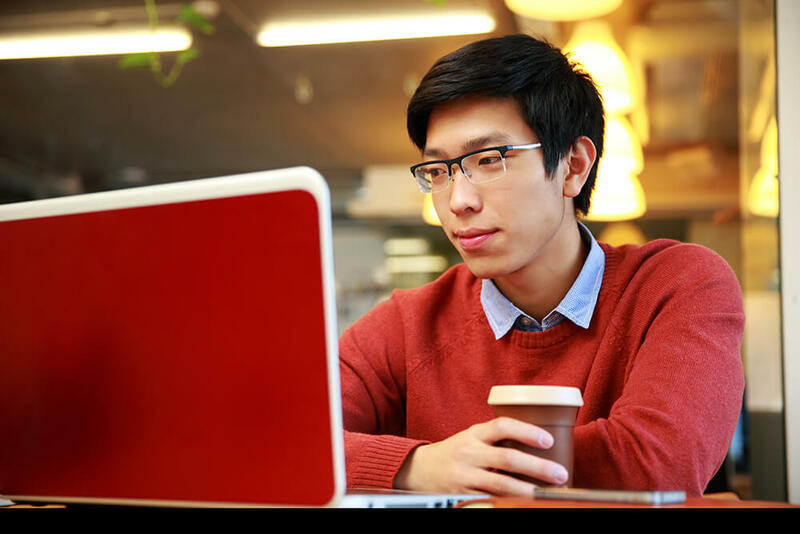 The online Master of Science in Psychology is a 37-credit program that can be completed on a part-time or full-time basis. Full time students typically take two courses per eight-week term, enabling them to complete the degree in one year. Students choose from two different tracks based on their career goals: General Track and Industrial/Organizational Psychology specialization. The program culminates with a practicum in psychology, which incorporates both fieldwork and one-on-one instructor supervision. The practicum aligns with your specialization and career interests to help you develop appropriate skills training in applied psychological settings, and concludes with the presentation of your master’s thesis, which demonstrates your ability to develop an applied research project. As a general track student, you’ll take a seminar in psychology, which is a special topics course that focuses on the history and philosophy of the seminar topic and informs students of the various career development and educational opportunities available in the specified field. You’ll also have the option to take elective courses from both the industrial/organizational psychology track, as well as any Lynn graduate program that suits your career goals. These programs include Clinical Mental Health Counseling (CMHC), Criminal Justice (MSCJ) and the Lynn online MBA, and offer courses in ethics, substance abuse, leadership, management and more. The industrial/organizational psychology specialization enables you to focus on the scientific study of human behavior in the workplace. By combining advanced industrial/organizational psychology coursework with courses in leadership, management, and human resources from the Lynn MBA curriculum, you’ll be able to derive insights at the individual, group, and organizational levels and apply this knowledge to solve problems in a variety of sectors. The MS PSY program was designed specifically for the online learning environment, and our faculty are experts at delivering innovative coursework to engage online students. Courses feature a variety of materials to help students enhance their learning, including video presentations, podcasts, written lectures and faculty videos. Students often participate in discussion boards, fostering collaboration between their fellow classmates and instructors. MS PSY courses are largely asynchronous, meaning students can view lectures and complete related assignments on their own time. However, there may be live components in certain courses such as group Skype meetings and one-on-one discussions with the instructor. All online MS PSY courses are delivered on the Canvas learning management system. It serves as a hub for faculty and students and is the portal through which students access all coursework. Students typically devote 3 hours per class per week to coursework. Though the online format provides flexibility, most assignments must be completed on schedule. Lynn University is committed to evolving as an institution, providing the best possible educational experience for its students using cutting-edge technologies. In pursuit of that goal, we’re proud to offer our online MS PSY students an iPad upon admission. To learn more, review our iPad initiative FAQ. This course offers a study of the major theories of the composition and determinants of human personality. The theories examined include: psychoanalytic theories, self-theory, self-actualization theory, trait theories and social learning theory. In this course, students will explore advanced theories of social behaviors and human interactions. Emphasis will be placed on understanding the literature, drawing connections between social psychology and other disciplines and developing interventions and applications based on the theories discussed. This course will explore theoretical and practical interpretations of research results and program analyses in the field of counseling and psychology. Specifically, students will study both qualitative and quantitative methods of data collection and analysis. Students will also be instructed on the use of statistical software by completing exercises in and out of class. This course will provide students with the background to conduct research and be a consumer of research in the counseling and psychology fields. Each student will conduct an independent research study. Students will be involved in projects connected to research faculty members. The student’s course instructor will supervise this independent study. Students will work closely with faculty to gain the skill set to develop and produce an applied research project. This course will provide the students with knowledge on scientific writing, instrument selection, use and evaluation, and all aspects of data collection, analysis and reporting. Students will be actively working on their individual thesis project working towards final completion during their Practicum in Applied Psychology course. This course will examine the theory, history and methodological foundations of psychological testing, individual assessment and measurement in the counseling field. Both the benefits and pitfalls of using assessment in practice will be investigated in underlining the importance of culture- related issues. This course will explore the avenues of assessment and the reliability and validity of the assessment tools presented. This course will explore the psychological impact of social and cultural factors in the field of counseling and applied psychology. The influence of gender, race, age, ethnicity, culture, SES, religious preference, sexual orientation and mental and physical disabilities in psychological research and counseling relationships will be investigated. Prototyping, stereotyping and prejudice will be examined and interventions appropriate to handling these will be studied. The class will focus on the cultural factors relevant to clinical mental health counseling. This course requires students to work a specified number of hours in the field of psychology based on their specialization area. Students will meet in a classroom setting for group and peer supervision and with the course instructor for individual supervision. Site placement will include supervision with an emphasis in developing appropriate skills training in applied psychological settings. Students need to have completed all master’s-level course work with a grade of B- or better to be eligible for placement in this course. Required clinical hours and supervision hours must be met for successful completion of this course. The culmination of this course is the final presentation of the master’s thesis. This course is designed to provide students with the foundations and implications of the developmental approach to the understanding of human growth and development. Students will become acquainted with a range of core issues and theories of individual and family development over the lifespan, including basic theoretical and methodological concepts, such as lifespan theories of development including physical, intellectual, moral and social development. This course includes an examination of the field today and applications of lifespan developmental science for intervention into developmental processes and implications for applied developmental research. This is a special topics course for psychology graduate students. Students will learn the history and philosophy of the seminar topic and will be informed of the various career development and educational opportunities available in the specified field. Students will develop critical thinking skills and will apply these skills to critiquing and presenting current practices and research methods in the field. Students will fully understand the ethical and legal principles applicable to those holding professional roles in society. From the industrial/organizational psychology track or the Clinical Mental Health Counseling curriculum. This course will explore the intersection of psychology and business. Students will critically examine the psychological principals behind workplace conflict and conflict resolution, personnel selection and retention, and leadership and management. The course will also provide examples of how personality assessment is practiced in business, and how to use modern research to make the workplace function more efficiently and productively. Introduces students to leading thinkers in business today and to influential theories and approaches to contemporary business issues. Organizational styles, innovation and change, globalization, and technology are among the issues analyzed to determine best practices for leaders and managers. Students will apply these ideas, theories and strategies to analyses of case studies and to examples from their own professional lives. Choose an elective from any Lynn graduate program including Clinical Mental Health Counseling (CMHC), Criminal Justice (MSCJ), and the Lynn online MBA.